Heads Up is a wide based, sound structured individual with show stopping eye appeal. 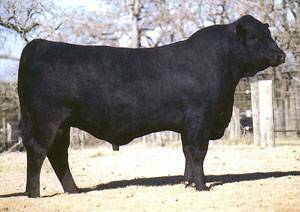 He is from a large embryo flush out of the all time most productive cow at Optimal Beef Genetics and his maternal grand-dam is the dam of PVF-BF BF26 Black Joker. Sound maternal foundation genetics in this young sire offers a little different genetic twist for the future. Heads Up, for those desiring to try something a little different.